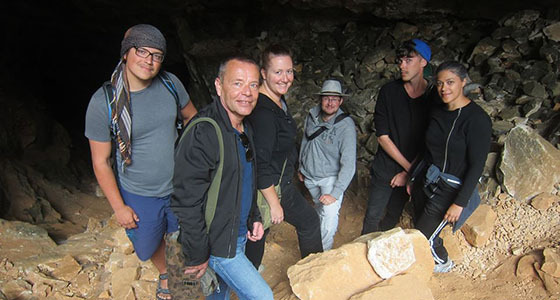 A course that gives postgraduate and presumptive doctoral students an opportunity to travel around in Greece in order to visit archaeological sites and museums has always been very much at the core of the Institute’s activity. It has been given since the Institute’s founding in 1948, and most Swedish scholars in Classical archaeology have at some point taken part in it. Today, the course is given biannually, and the Institute gives five grants to students at the four universities in Sweden that have departments in Classics (Uppsala, Stockholm, Gothenburg, and Lund). During the ten-week programme the students have the opportunity to study antiquities all over Greece. More than half the time is normally spent outside Athens, in excursions to, for instance, the Argolid and Crete. The programme can vary, however, in accordance to the specialisms of available teachers and resources in general. In 2012, a two-week long excursion to western Turkey was included in the programme, whereas the 2014 year’s programme focused on the Aegean, and included excursions to islands including Andros, Naxos, Paros, and Delos. The course will next be given during the autumn semester of 2016.